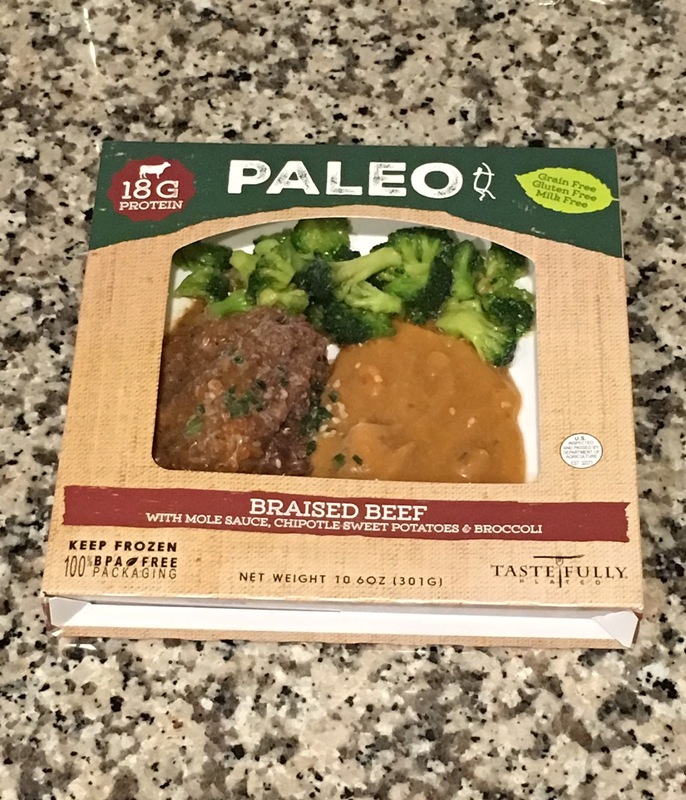 The Zinn Life: Paleo Frozen Meals - They Exist! One of my biggest complaints about eating clean and healthy is the prep work. Dear Lord the prep! If you aren't smart about it, it can consume you! For many years, I relied on frozen meals for my lunches at work. They were easy, cost effective and didn't require a lot of work. But the sodium was really high and once I started clean eating, there were way too many ingredients. 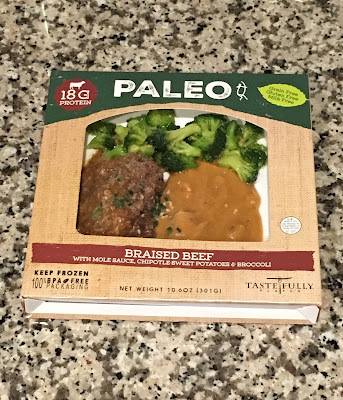 As Paleo and clean eating have become more popular, there are more and more convenience foods that work with those plans, including frozen meals! I was skeptical at first, but I'm a sucker for something that means I can cook less. So I picked up two different meals from different brands from Wal-mart. And I documented. You're welcome. This meal was my favorite of the two that I tried. The braised beef was paired with a mole sauce. Oh man, that flavor was amazing. The broccoli, which I usually detest all frozen dinner broccoli, had a nice taste and texture to it. Frozen dinner broccoli usually comes out not cooked enough or super mushy, never the right consistency. This one was as close to the right consistency as I have found. The sweet potatoes were my least favorite part of this meal. I am a huge, huge texture eater and the texture was disgusting. It was a weird puree sweet potato, but also had random large chunks. It could just be that I was in a hurry and didn't stir it as well as I could have. Who knows. Overall, though, I would try this one again. The broccoli and meat were yes, lots of yes. Those potatoes? Lots of no! This was not my favorite. By a long shot. There was some weird mixture with the beef that gave it a weird tangy and spicy flavor. The texture was also off. Surprisingly, it was not the mashed cauliflower that bothered me, but the meat! I don't know what they did to it, but I only ate about half of it. I won't be buying that one again. Both meals were around $5 each. Most frozen meals are around $2.50 - $3.00, making these on the much higher end of the scale. Now, I can easily identify most of the ingredients. It's still a really long ingredient list, but you can pronouce and identify each item. That's always a win! I don't know that these will be a regular part of my grocery shopping. I might keep one on hand for back-up, but honestly I think I can do better with my back-up meals that we've been making. They are much cheaper and don't contain any weird texture issues. Convenience is not always your friend! Have you tried any of the Paleo meals? What did you think of them?